These are delicious pastries and rather amusing! 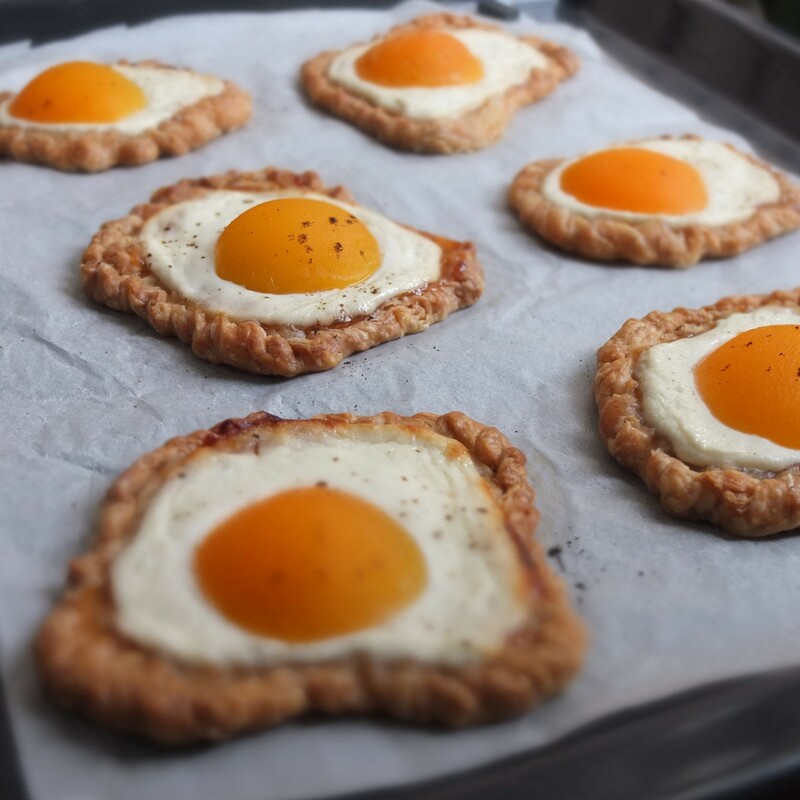 They look like fried eggs don’t they? 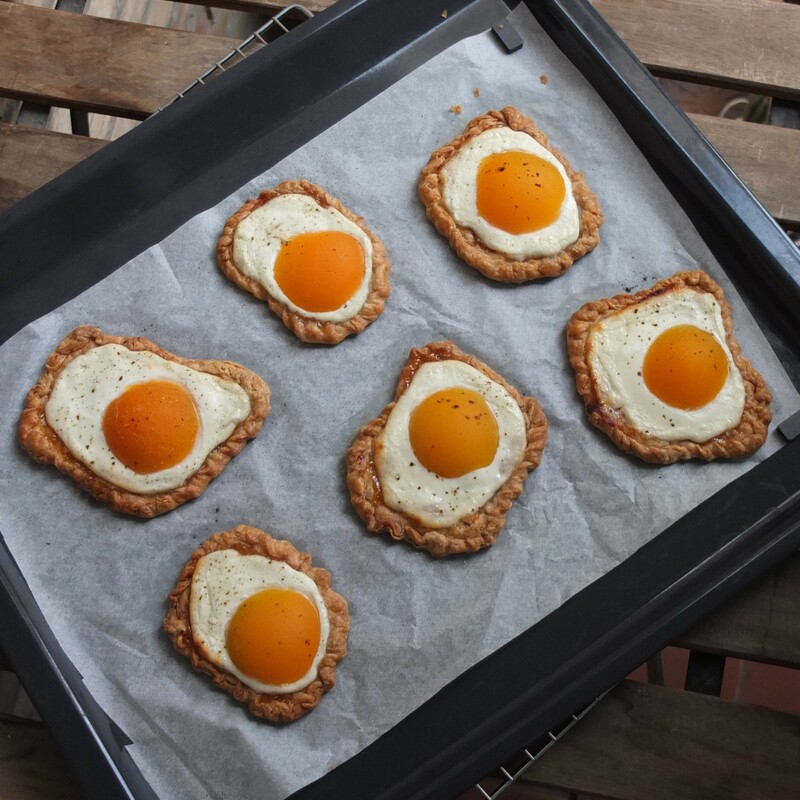 Eggs are a symbol of Easter and rebirth so I thought I’d post this easy fun recipe you can make with kids. The roughly-shaped puff pastry bases are filled with a thin layer of blood orange jam or marmalade and 0% fat quark sweetened with a little pure maple syrup. 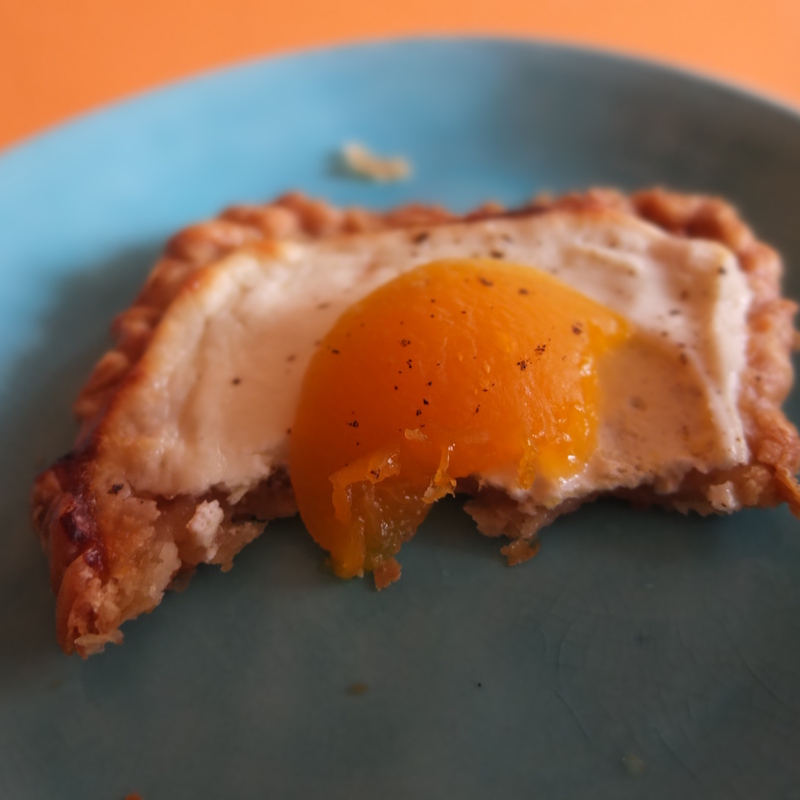 The yolks are scrumptious baked canned apricot halves and the eggs are sprinkled with a little vanilla powder or chia/poppy seeds. When baked the quark mingles slightly with the jam for that special fried egg effect. Tada! 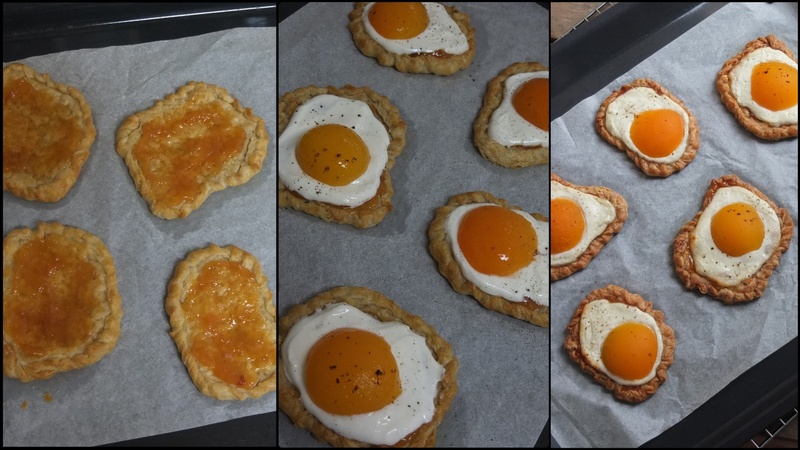 Very yummy apricot and quark faux fried egg pastries! 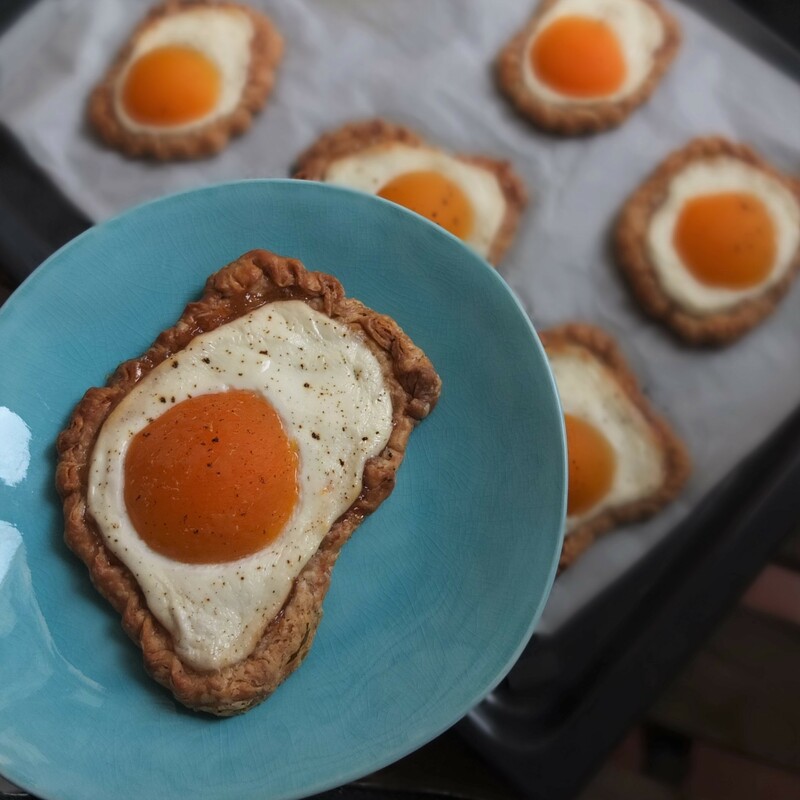 They’re my little invention and an attempt to make slightly healthier Easter fare! Lol. 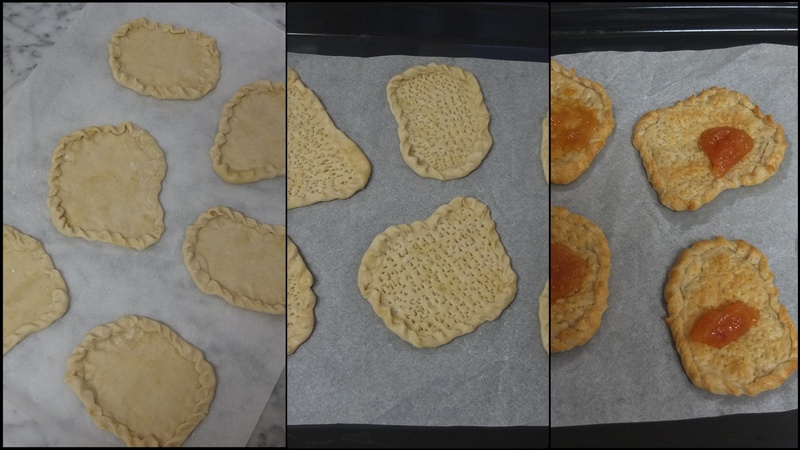 There was homemade spelt puff pastry in my freezer so that was handy but you could use good quality shop-bought all-butter puff pastry and probably even shortcrust pastry. Here’s the link for how to shape puff pastry shells in my basics section (the video’s set to country music). Puff pastries are always best eaten the same day or warm 30 minutes out of the oven. 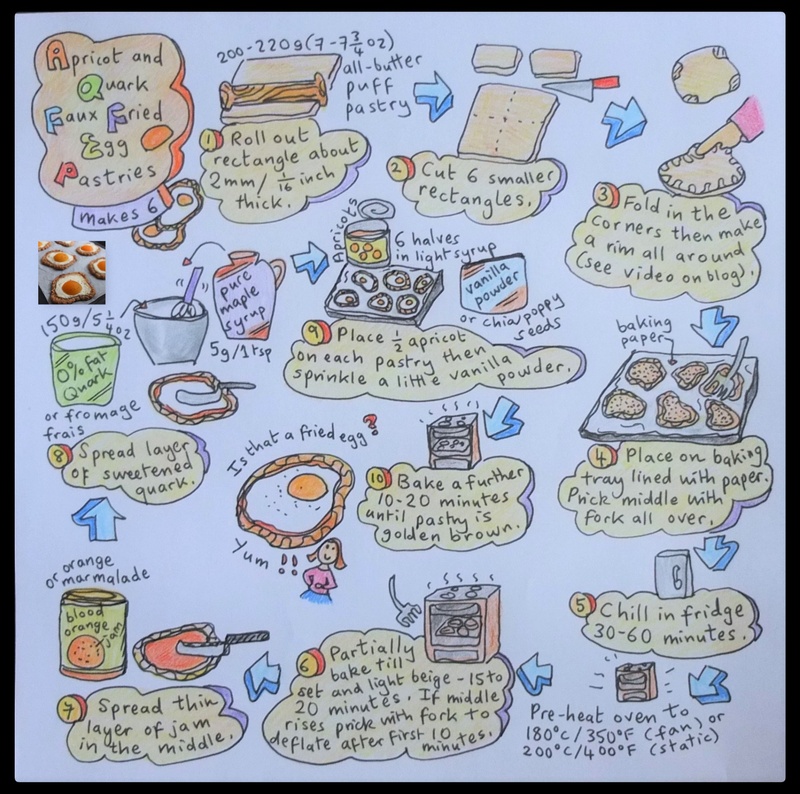 But keep extra ones in an airtight tupperware container in the fridge and they’ll still be yummy the next day (maybe on day 3 too). Those look tasty little treats Lili! I love the all-in-one breakfast. Looks wonderful and cooked perfectly.